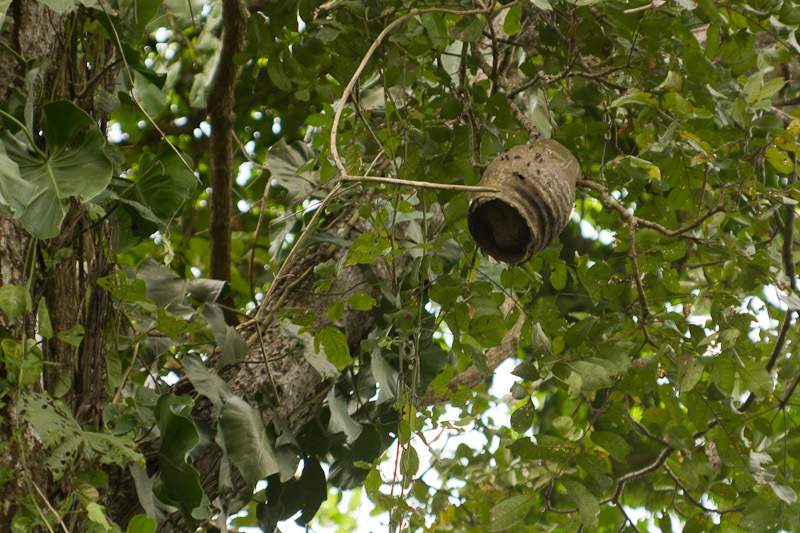 I spotted this wasp nest way up in the canopy. I like how it’s open-ended at the bottom, exposing the comb inside. It’s amazing to me the variety of forms that tropical wasp nests take. One day I’d like to do a compilation of all the ones I’ve photographed over the years.